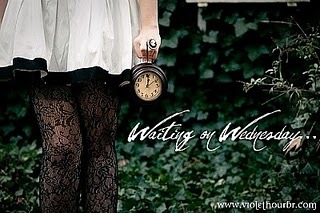 "Waiting On Wednesday" is a weekly event hosted by Breaking the Spine to spotlight an upcoming release that we're excited about. This week I'm waiting on The Ocean at the End of the Lane by Neil Gaiman. 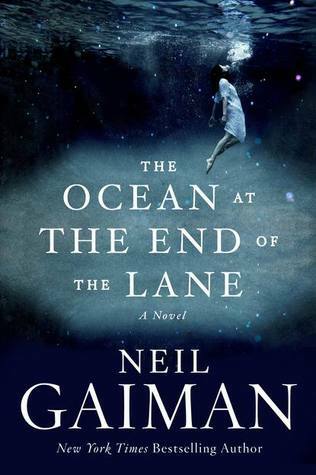 THE OCEAN AT THE END OF THE LANE is a fable that reshapes modern fantasy: moving, terrifying and elegiac - as pure as a dream, as delicate as a butterfly's wing, as dangerous as a knife in the dark, from storytelling genius Neil Gaiman. It began for our narrator forty years ago when the family lodger stole their car and committed suicide in it, stirring up ancient powers best left undisturbed. Dark creatures from beyond the world are on the loose, and it will take everything our narrator has just to stay alive: there is primal horror here, and menace unleashed - within his family and from the forces that have gathered to destroy it. Why wouldn't I read this? It's NEIL GAIMAN! Let's not joke around, I've liked everything that he's ever written. The man does not disappoint. And the cover is pretty. The Ocean at the End of the Lane comes out June 18th. Great pick! This one sounds fascinating. I had to add it to my TBR pile. I hadn't seen this book before, but I love the cover! And the synopsis sounds very promising! Thanks for sharing. Interesting. I love the cover. I think I'll add it to my TBR list. I don't think I've ever read a Neil Gaiman book, though I've heard they're pretty good. And I'm glad you like my 'About Me.' I think it's the best summery I've done of myself. And possibly the most acurate. Ooh nice one! Never read this author but have seen of lot of Gailman's books over the years! See what I picked this week at Read. Sleep. Repeat. I haven't read any of Neil Gaiman's work before, but this sounds pretty intriguing!! Sounds creepy but definitely good :) Fabulous choice! I have never read a Neil Gaiman book, but this sounds interesting. Thanks for sharing. Thanks for stopping by. Thanks for stopping by our WoW! Not sure if I like the sound of this one but I hope you enjoy reading it! Thanks for stopping by my WOW post!